In October 2008, Impossible saved the last factory in the world manufacturing Polaroid film and saved analog instant photography from extinction. 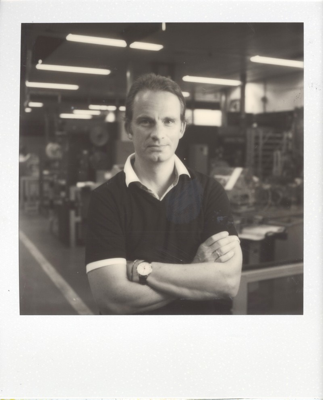 With a team of former Polaroid employees, Impossible set to work developing entirely new film materials, and in 2010 released a series of new instant films. In so doing, they ensured that more than 300 million perfectly functioning Polaroid cameras did not become obsolete. This year, Impossible turns its attention to hardware. In August, 2013, the company will release two unique innovations for analog instant photography. The first is the Impossible Instant Lab, a camera which can transform any digital image from your iPhone into a one-of-a-kind instant photo that can be shared, exhibited and preserved. The other is the Impossible Pinhole Camera, which combines the simplest and earliest form of photography with the magic of instant film. Both these cameras boast the Impossible FPU (Film Processing Unit), a high precisely engineered platform that develops Impossible film to the highest quality. The Impossible FPU is elemental to all new Impossible camera products. Impossible is represented by a worldwide network of Impossible-owned Project Spaces (in New York, Vienna, Tokyo, Paris and Warsaw), as well as scores of independent Partner Spaces. They offer regular workshops, presentations and exhibitions, as well as the complete range of products, including very rare and limited edition treasures you will not be able to find anywhere else. Soon there will be an Impossible Project Space in London to serve British analog instant fans. Stay tuned for updates!